The Razer Phone is a fantastic handset that makes the case for smartphones including variable refresh rate screens. It’s only a shame the camera falls way short of expectations. Razer has stated that their plan was to release a very basic camera experience initially and then gradually flesh it out with new features and improvements via software updates. It's also worth keeping in mind that this was Razer's first attempt at building a smartphone, so it should come as little surprise that the end experience isn't as polished or fleshed out. if you're looking for a smartphone camera experience directly comparable to the Google Pixel or Samsung Galaxy phones you're either need to wait and see what Razer may deliver down the line, or look elsewhere if camera performance is a top priority to you. The Razer Phone isn’t available officially in Malaysia just yet, so your best bet in experiencing one is to get it via some of the resellers here in Malaysia. The Razer Phone is the perfect smartphone... if you're a gamer. While it doesn’t feature the sleek, bezel-less design of other flagship smartphones, no other deviceon the market can come close to matching the stunning 120Hz refresh rate. It makes a huge difference to gaming on mobile, especially when combined with stereo front-facing Dolby ATMOS-certified speakers and an app that lets you tweak the performance of games on a per-app basis. But the Razer Phone does provide some exciting prospects, and it will be very interesting to see this kind of high refresh display technology in phones that make fewer compromises to get it. If that happens, then the future of smartphones is going to be pretty smooth. The Razer Phone is a great first attempt and might start new trends in the smartphone space, but its camera significantly holds the phone back. 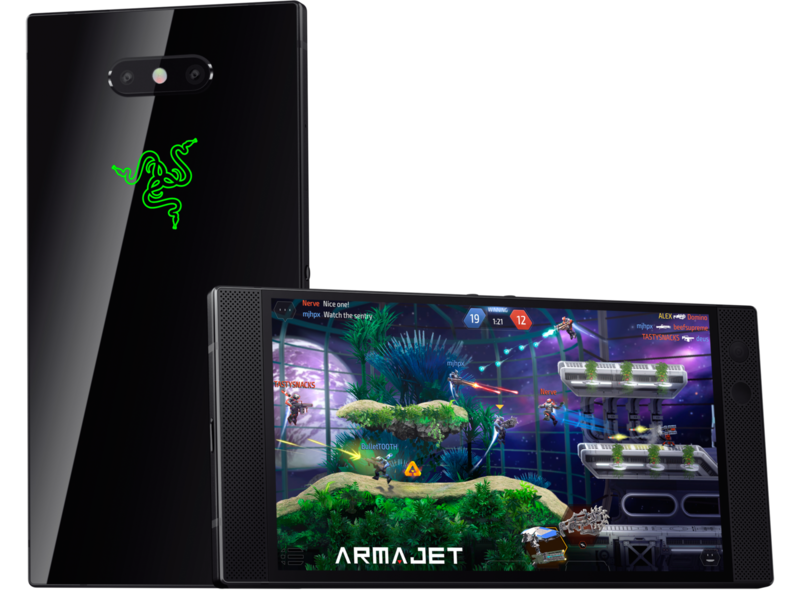 85% Razer Phone – Is this the ultimate gaming device? As a first shot at entering the market, Razer has done a good job on this phone and I have high hopes if they can fix that camera. I am also hopeful as to what they have up their sleeves for the next version. They have certainly shaken up the industry and hopefully, this will spur other manufacturers on to think about the graphic and screen tech used in their own flagships. So kudos to Razer for trying something bold and making waves. Right now, the Razer Phone just isn't worth it. It's got some great ideas in there, but even the smoothest display in the world couldn't make up for all the other loose ends scattered about. Will software updates landing in the next few months transform the Razer Phone into one that's finally worthy recommending? We're optimistic, but $700 is a big price to pay for being a beta tester, and if you buy the Razer Phone now, that's exactly what you'll feel like. Razer definitely nailed the "phone for gamers" ethos, with its beautiful display, buttery smooth performance and ear-tingling speakers. Its performance as a regular ol' phone isn't too bad either, as those same qualities are great for other fun activities like watching videos and listening to tunes. Plus, battery life is stellar, which is great news for gamers and non-gamers alike. That said, if you wanted a stylish phone with a good camera and a display that works great outdoors, we'd advise you to look elsewhere. For those who care about gaming above all else, though, Razer has your back yet again. If you’re interested in getting one, it’s available on Three here in the UK for £41 a month with £49 upfront (for 4GB data and unlimited everything else). Or you can pay £594.99 for one outright. There is a plethora of good premium Android smartphones based around the Qualcomm Snapdragon 835 platform. Most feature high-quality screens, ample resolution, solid battery life and impressive cameras. Going against the grain of Android, premium handsets have become increasingly homogenous. The Razer Phone is a smartphone obsessed with gaming. As well as just about the loudest speakers you’ll find in a phone, it lets you customise game settings for a PC-like feel and has a clever (if not essential) 120Hz screen. It's great for games - just make sure you consider the issues before splashing out or signing up for a contract. The Razer Phone is a very impressive device from the gaming hardware company, especially considering it's its first attempt. On the whole, though, I think the Razer Phone achieves what it set out to achieve – to be an excellent phone for gamers. It won’t appeal to the mass-market the same way the Galaxy S8 has, but the excellent sound, fantastic display and all-round performance make it perfect for mobile gamers or streamers. Yes, it’s big, it’s black, it’s heavy and it’s cold metal. In fact, it’s typical Razer – no frills high end hardware, and it’s how we love the company. For the everyman, however, there are better-looking, longer-lasting and equally as powerful devices which sack-off of the screen's refresh rate for the sake of being better all-round devices. The Razer phone is priced at a pretty reasonable $699, and will be available from the company’s website on November 17th. Those in the EU and UK can also snag one via wireless carrier Three, which is Razer’s exclusive wireless partner for that region. After several days with the Razer Phone, I'm still not totally convinced that I need a bona fide gaming phone. But Razer makes a pretty strong case with its Ultramotion display, great frame rates and stunning audio.. However, this $699 handset has some drawbacks, including a camera that's poor in low light, the lack of a headphone jack and a screen that simply doesn't dazzle like OLED. That battery life could also be better. The phone will cost US$699 and will be available to buy on 17 November in the US, Canada, UK, Ireland, Germany, France, Denmark and Sweden. Customers in launch countries can also reserve the phone on Razer’s website. And as a nod to its fans, Razer is making just 1,337 units of a special limited edition model with the Razer logo in its original bright green. 70% Razer Phone Review: Gamer’s delight? The Razer Phone disappoints when it comes to the camera tech and the blocky design, which at a lower price point would be more forgivable. However, at £699 we really do expect a full package, which this handset doesn't deliver. The Razer Phone’s unique hardware is impressive and means, on paper at least, that the handset should be a solid choice for mobile gamers. My only concern is that Razer’s not got a whole lot of experience in mobile software – an area that can make or break any phone. The Razer Phone is here at last – a smartphone built for gamers, by gamers, but we'll say this straight away – you don't need to be a gamer to appreciate this smartphone. The Razer Phone is packed full of power and potential, but the stumbling block could well be its niche appeal. Its design may not blow people away, but its stereo speakers may do just that, while a gaming focus will certainly appeal to some. Razer has today unveiled its much awaited and premium gaming smartphone called Razer Phone in London. It will be available for USD 699.99 from November 17 onwards in North America and Europe and pre-orders have started today. The big screen and stereo speakers make it a formidable piece of kit to hold, and the angular, industrial-looking metal design is a world away from the curves and glass of Samsung’s Galaxy S8 or the iPhone X.
Razer's first phone has unique graphics features for Android gaming, but we're not sure there's a market for it here in the US. We'll find out soon. The phone will ship Nov. 17 from Razer's website, Amazon and some Microsoft Stores. In Europe, it'll exclusively be available at retail from Three, where pre-orders begin today. 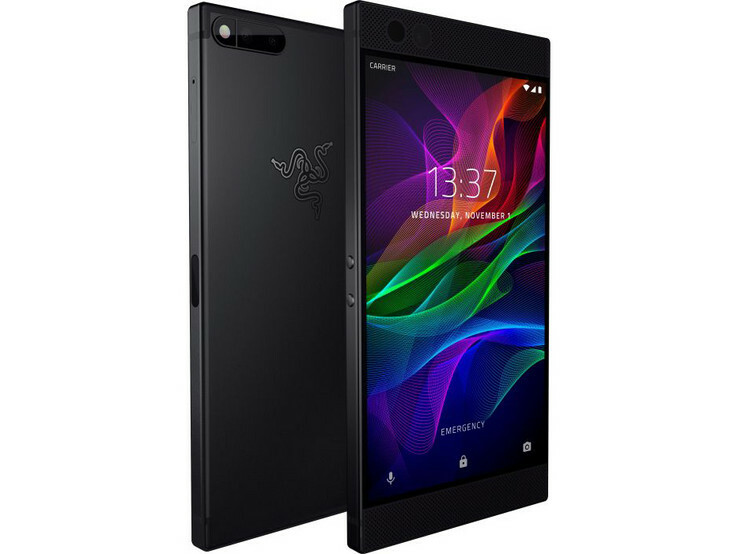 It's official - computer hardware company Razer is stepping into the smartphone market with the Razer Phone. We were invited to attend the announcement event and, the way these things work, we got to spend a few precious moments with one of the Razer Phones. 83% Recensione Razer Phone: potenza allo stato puro! 70% Test du Razer Phone : seulement pour les gamers ? 76% On a testé Razer Phone : le meilleur smartphone pour le jeu vidéo ? Đánh giá chi tiết Razer Phone: Đã đủ thu hút dân chơi game mobile? В Razer уже готовы ко второму раунду: компания выпустила последователя оригинального игрового смартфона, дав ему незамысловатое название: Phone 2. Но не дайте его простоте себя обмануть - соскучиться с этим аппаратом совершенно невозможно. Давайте вместе оценим все преимущества и недостатки новой модели. Qualcomm Adreno 540: Встроенная графика для смартфонов, используется в чипсете Qualcomm Snapdragon 835. Была представлена в начале 2017 года, устанавливается во все флагманские Android-смартфоны/планшеты. Qualcomm Adreno 630: Встроенная графика для смартфонов, используется в чипсете Qualcomm Snapdragon 845. Согласно Qualcomm, решение на 30% превосходит Adreno 540 в Snapdragon 835 при сокращенном на 30% энергопотреблении. 835: Топовый чипсет для смартфонов и планшетов в 2017 году. Производится по 10 нм LPP FinFET техпроцессу силами TSMC. Процессор состоит из двух кластеров: производительный из 4 ядер Kryo 280 (Cortex-A75) с частотой 2.45 ГГц и энергоэффективный из 4 ядер Kryo 280 с частотой 1.9 Ггц.845: Топовый чипсет для смартфонов, представлен в начале 2018 года. Производится по 10 нм LPP FinFET техпроцессу силами TSMC. Процессор состоит из двух кластеров: производительный из 4 ядер Kryo 385 (Cortex-A75) с частотой 2.8 ГГц и энергоэффективный из 4 ядер Kryo 385 с частотой 1.8 Ггц. Содержит модем X20 LTE, двухдиапазонный модуль WiFi и 32-битный двухканальный контроллер памяти LPDDR4x 1866 МГц. 79.01%: No rating comment found (one expected)!Общие рекомендации по выбору электроники: Гид покупателя.